The equipment assembled in California leaves for the East Coast, where it will join the rest of the shipment to Cape Town, South Africa. 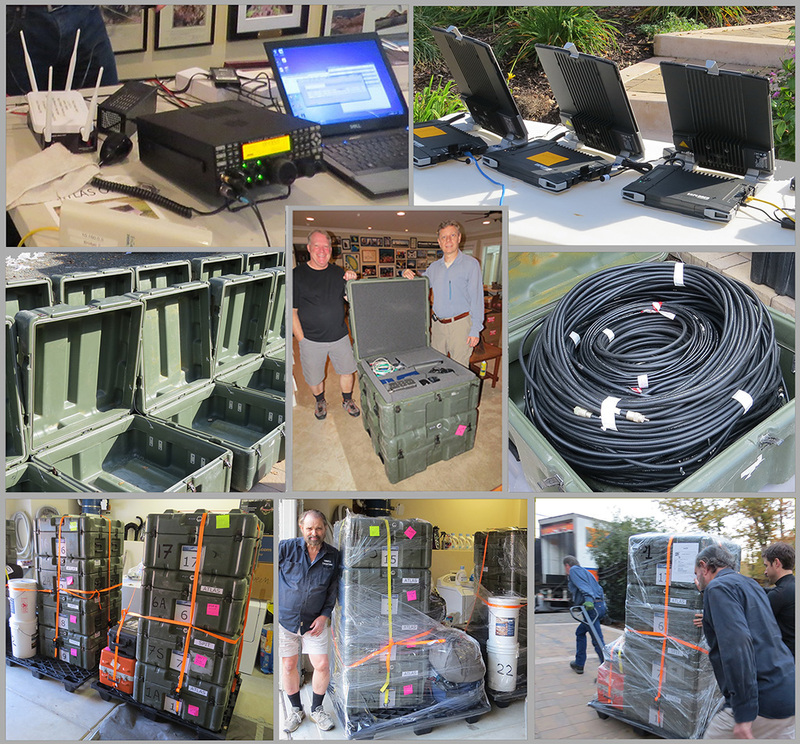 (Left to right, top to bottom) The individul stations undergo final checks, the satellite terminals get one last checkout, the various cases were thoroughly cleaned according to biosecurity protocols, Rich KY6R and Dave K3EL assemble the “station in a box” (eight of them), coax fills three cases, all 18 cases are filled and numbered, Bob KK6EK makes final check on the 5 pallets to be shipped, and then they’re on their way. Nov. 23, 2015. After more three years of planning and more than a year of development, the core operating equipment has left California for the collection point on the East Coast. The equipment includes all eight radio stations, all the coax, living items, scientific lab and supplies, and landing and emergency gear. The 31 cases and other items filled five pallets, which are now traveling by truck to Palmyra, VA, to be combined with the tents, antennas, generators, bunk beds, and other equipment already collected there. On Dec. 7, the entire collection will be loaded in a container that will sail for Cape Town, South Africa, awaiting the team’s arrival around March 1, 2016. The testing, packaging, and shipping of the equipment required considerable effort and coordination. Team members Dave K3EL, Jim N6TQ, Carlos NP4IW, and Bob KK6EK were joined by California team members Rich KY6R, Mike KJ4Z, Jack K6JEB, Peter W6DEI, Elliot N6PF, and Bob’s XYL Kay. Two joggers, Chris Cubanske and Jason Vitucci, were “conscripted” on the spot to assist in moving the heavy pallets to the truck. The transportation was arranged by Kassie Nichols, The Freight Rate Company in Florida. Heard Island team member Jim Colletto watches the drone hover, stabilized by signals from 7 satellites. The drone held its position within inches. It will be used to obtain images of terrain inaccessible to the expedition field parties. Nov. 21, 2015. 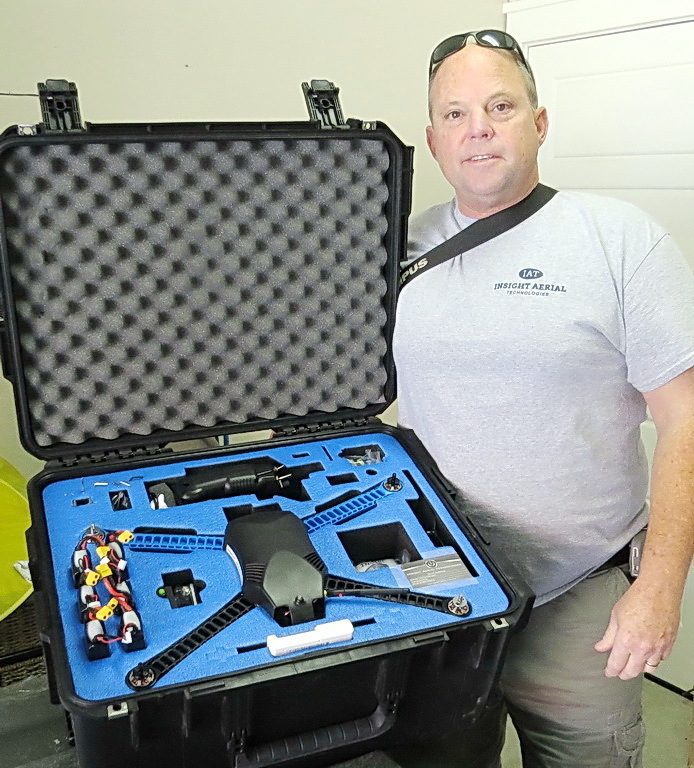 A local Walnut Creek businessman has provided a high-performance drone to enable photodocumentation of the major changes in the glaciers, lagoons, rock cliffs, and sediment resulting from climate change over the past decade. 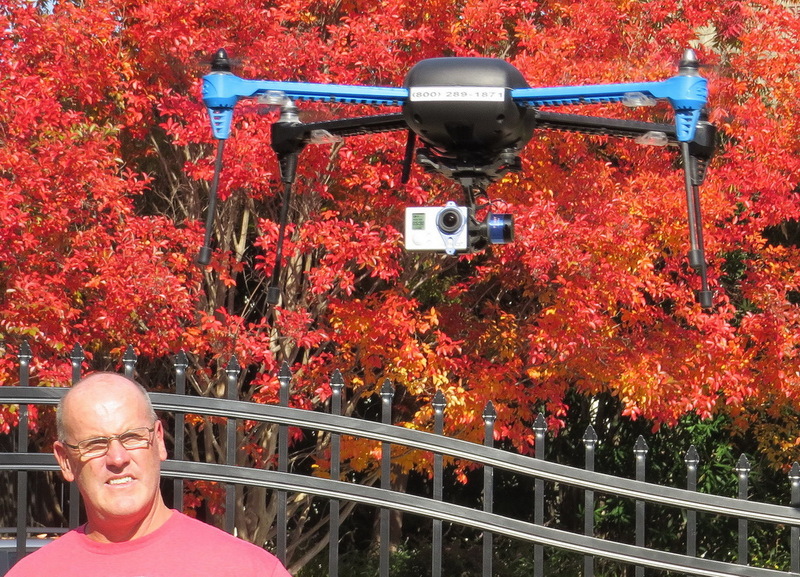 Mr. Dave Cloonan, founder and owner of Insight Aerial Technologies, provided the craft without cost to the expedition. The company uses a fleet of drones to make aerial surveys of properties and buildings for planning, construction, and public information. The EPIC series of robotic camera mounts capture photos using almost any digital camera; GigaPan Stitch Software automatically combines the thousands of images taken into a single image; and Gigapan.com enables the unique mega-high resolution viewing experience. Nov. 19, 2015. 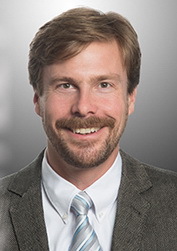 We are pleased to report that Prof. Callan Bentley, an Assistant Professor of Geology at the Northern Virginia Community College, will provide a GigaPan camera mount to the expedition, a device and software that will enable taking extreme high-resolution images on Heard Island. Pearson. He has become known as an innovator in digital geology, in particular for the use of GigaPan images of outcrops and samples, a technique that allows “virtual field experiences” for distance learners and students with disabilities. Contact information: http://www.nvcc.edu/home/cbentley/ [Source:http://cdn.vccs.edu/wp-content/uploads/2015/10/callan_bentley_bio.pdf].